Set upon a rounded sterling silver base, this dancing hippo and squirrel pill box is finely crafted with an engraved pattern around the border of the lid. 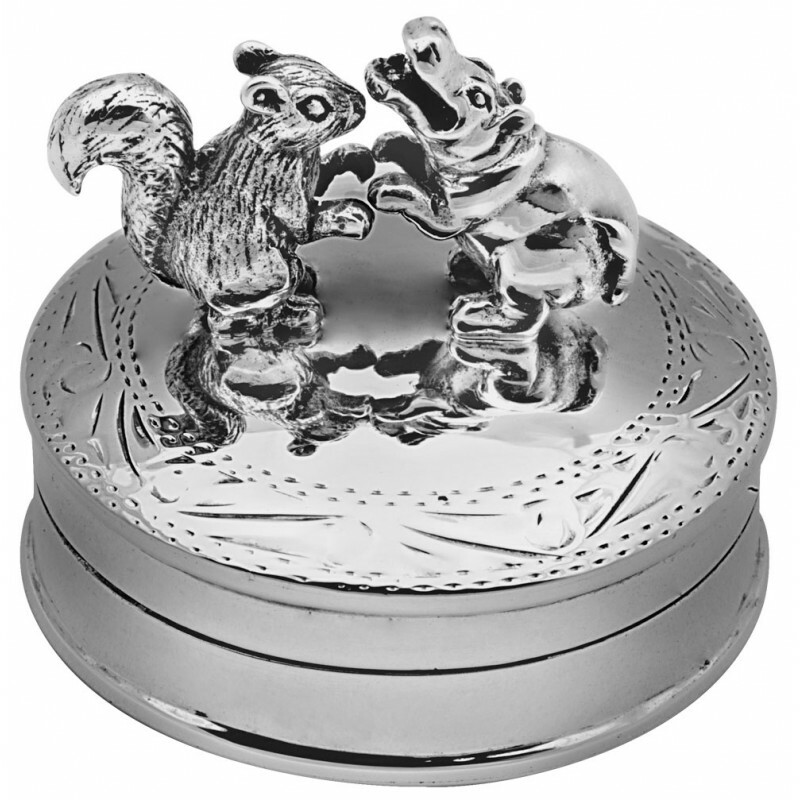 This sterling silver dancing hippo and squirrel pill box is unique with great original detail meticulously made by British craftsmen. 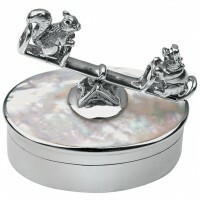 Ideal as a pill box or as a keepsake box for those all-important first memories such as a first tooth or curl.